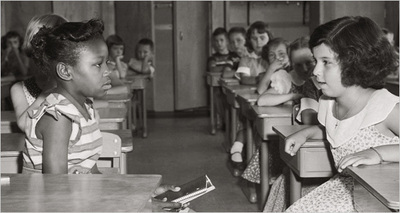 Brown v. Board of Education, 347 U.S. 483 (1954), was a landmark United States Supreme Court case in which the Court declared state laws establishing separate public schools for black and white students to be unconstitutional. The decision overturned the Plessy v. Ferguson decision of 1896, which allowed state-sponsored segregation, insofar as it applied to public education. Handed down on May 17, 1954, the Warren Court's unanimous (9–0) decision stated that "separate educational facilities are inherently unequal." As a result, de jure racial segregation was ruled a violation of the Equal Protection Clause of the Fourteenth Amendment of the United States Constitution. 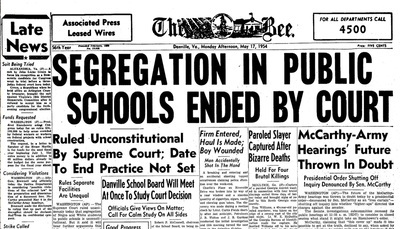 This ruling paved the way for integration and was a major victory of the civil rights movement.